Soak apricot halves in half a cup of the carrot juice for 15 minutes. Meanwhile, place carrots in a microwave-safe dish. Cover and cook for a few minutes, until just soft. 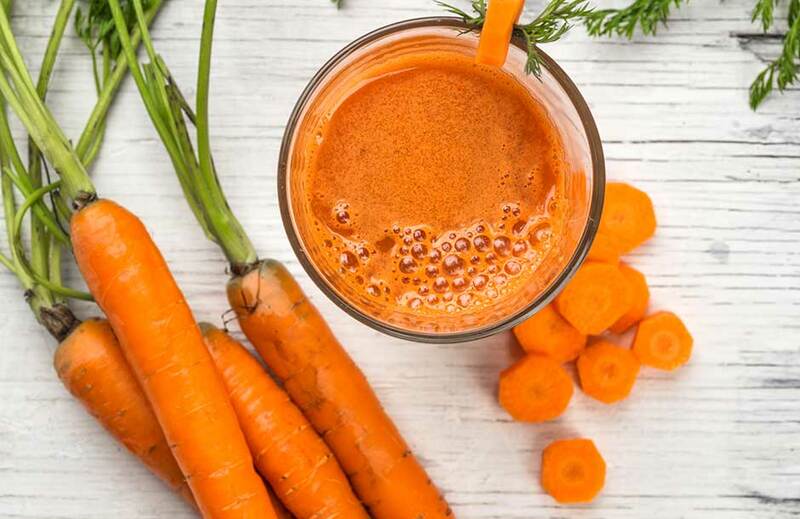 Combine carrots and apricots with the soaking juice in a blender or food processor and puree until smooth. Add remaining ingredients and puree until thin enough to drink through a thick straw.